This industrial container washer is specially designed to clean “Dolav bins”, 200 or 300 litres Eurobins and big containers (up to 1200 litres) on a high capacity per hour. 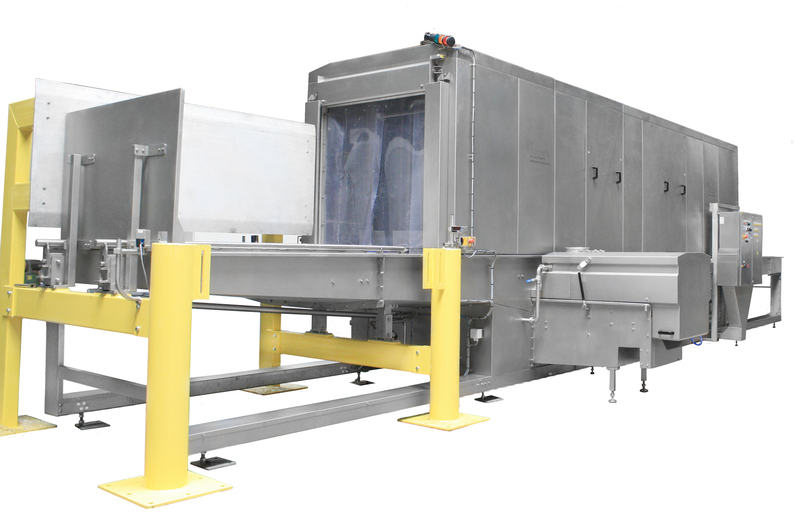 After placing the containers on the infeed side of the washing machine by using a fork lift truck, the containers are automatically transported into the washing tunnel, by means of a driven chain conveyor. The guides in the automatic washing system can easily be adjusted to the correct product size, so that smooth transport is achieved. After washing, the clean containers can be removed from the outfeed side by a fork lift truck. Do you want to talk about the CWM DLT? You want more information about CWM DLT?